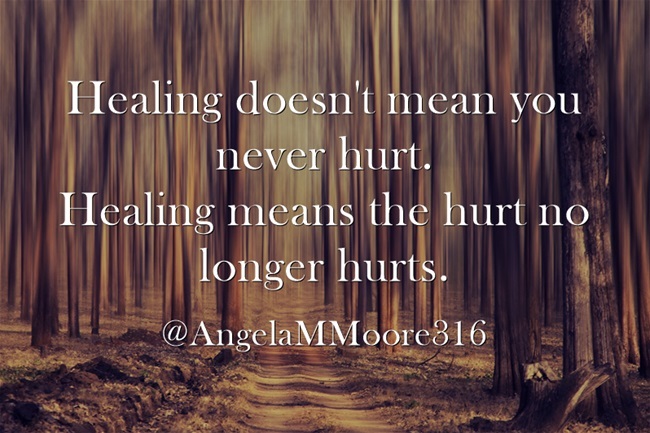 Here’s a little secret about healing, it doesn’t take away the hurt. I just heard you say, “WHAT the WORLD?!?! 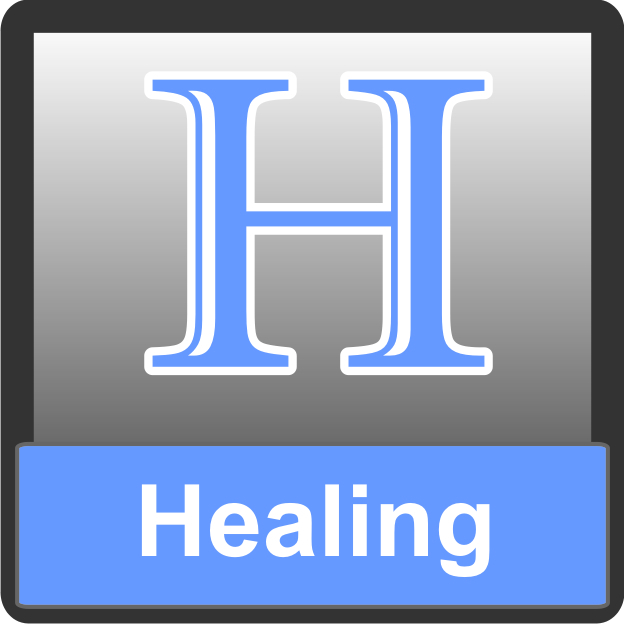 ?” You saw what I wrote, “healing doesn’t take away the hurt.” Now, let me explain myself before you de-blog me. I believe sometimes we are afraid to heal because we’re afraid that the healing might appear to others (or even ourselves) that we didn’t hurt, or love or truly lament the loss we experienced. Sometimes, I believe that we are reluctant to move forward because it might appear that whatever we’ve come out of (death, divorce, job loss, etc.) was warranted, wasn’t real, wasn’t a devastating blow or was what we desired. Regarding the death of my marriage, I would often hear “Wow! You are doing really well”, or “You don’t even look like most people who’ve gone through a divorce”. This was from people who had no idea of what I had already endured, or was enduring as a result of the divorce. Most were sincere, and I shall leave it at that. I would often smile, give God the glory and share what I chose to of my secrets to the extra-long path toward my personal healing, but then internally ask if the person really understood the level of pain that devastating blow dealt me. As if I, in some way knew the divorce was coming, from some I would hear, “I didn’t even know y’all were having problems”. I wanted to say, “All marriages have problems, but from me you would never have heard of mine. And NO, I didn’t know he was leaving!” I never wanted to be Angry Angela or Messy Michele about anything in my life so I fought hard to defeat feisty responses I wanted to offer. I’ve learned to focus on, see and seek God in all things. Nothing should have been different with my divorce, and that was part of my initial prayers to God as that unbelievable journey began. 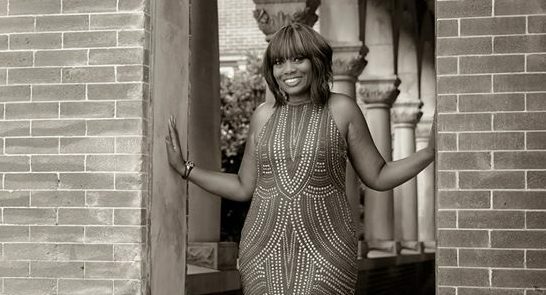 Even as I was fighting to get up (literally) and rebuild my life on this unexpected path God allowed I didn’t want anyone questioning whether or not I loved, was hurt, or did my all simply because I relentlessly pursued healing. I simultaneously didn’t want anyone thinking that I didn’t fully trust the Lord. Still, the thoughts loomed in my mind. I also didn’t want to act out of character cutting up in public or cutting up stuff in private. That simply wasn’t me. 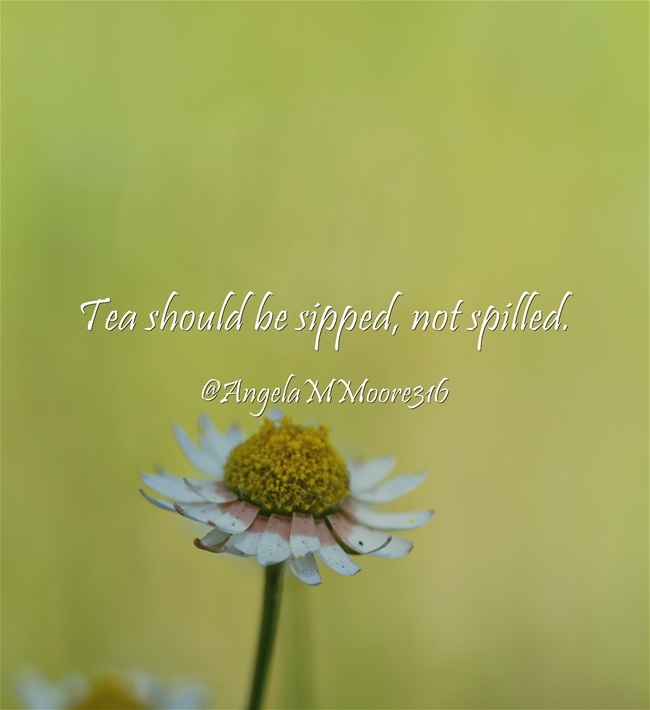 I believe tea should be sipped, not spilled. Not everyone should be privy to one’s pain. Anyone going through pain deserves some form of privacy. Not everyone can handle one’s pain even if they were to become privy to it. One should not speak negatively or in a defaming way of others. Sometimes a person’s silence is sufficient. Those that needed to know the gory details of what was endured did. They handled it, my mess and me very discreetly and very well. Divorce doesn’t always look like a Lifetime mini-series with rage, weight-loss, inability to function, substance abuse or depression. Privacy, decorum, and respect are God’s way, and He rewards that. Lastly, just because you didn’t hear someone holler doesn’t mean they didn’t hurt. For anyone wondering how someone is doing, what someone is thinking, what someone is feeling, what help is desired, what help toward healing has been sought, or what correction or direction someone experiencing loss needs all you have to do is simply ASK them directly. Take it from me. They will be encouraged just to know you care. For anyone dealing with loss and holding on to the “what will people think” notion, may I propose that healing doesn’t take away the hurt. In no way, shape, form or fashion will your decision to trust God to make you well whither away or discount anything you might have felt or endured. Your pain is your pain and it’s nothing history, anything or anyone can do to erase what happened. What God can do is heal what happened. What you can do is not dwell on what happened and stay stuck there. Healing from your pain allows you to use what you’ve gone through and what was granted after your loss for God’s glory, your good and the world’s gain. This entry was posted in Divorce, Encouragement, Life, Loss, Love, Past hurts, Relationships. Bookmark the permalink.